Charles Bryant, a 19th Security Forces Squadron patrolman, stands in front of an E-3 Sentry Airborne Warning and Control System aircraft May 7, 2015, at Little Rock Air Force Base, Ark. 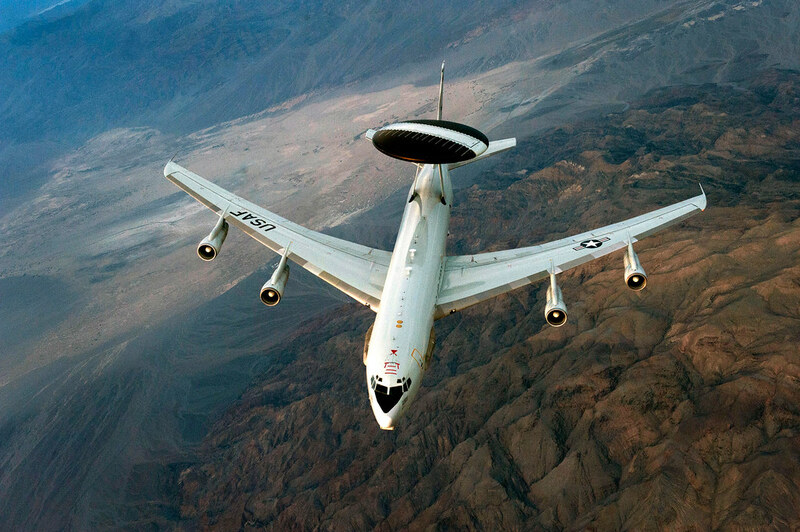 The aircraft is equipped with a 30-foot-wide radar subsystem that permits surveillance up to the Earth's stratosphere, and is assigned to Tinker Air Force Base, Okla. 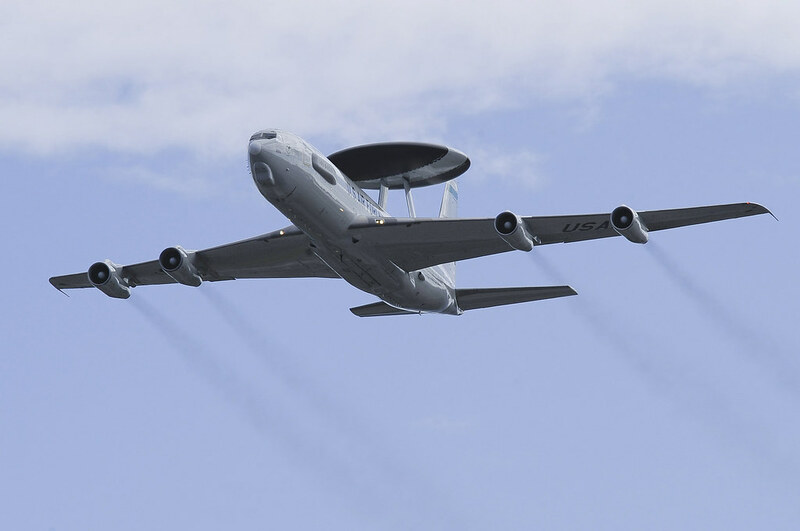 Since 1977, the E-3 Airborne Early Warning and Control System (AWACS) has provided airborne surveillance and command and control functions over battle spaces in conflicts around the globe. 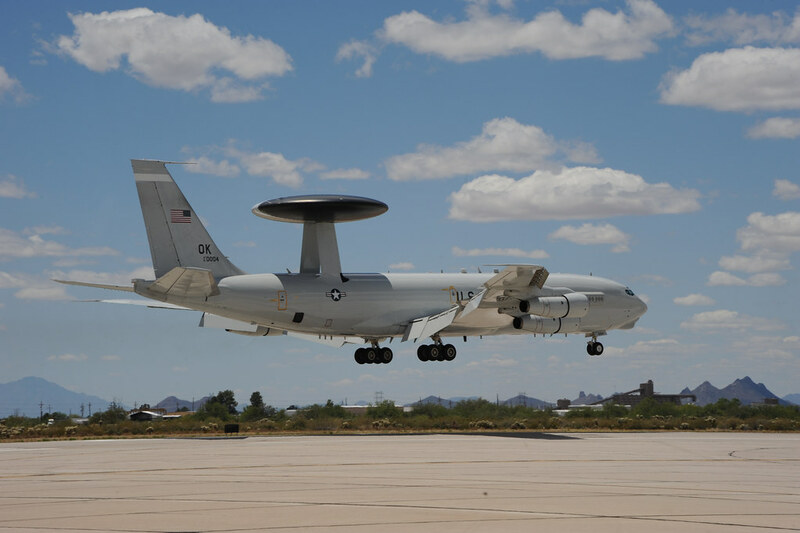 Operated by four countries and NATO, the E-3 allows radar to detect low-flying aircraft over land, a capability impossible for previous airborne radars due to an inability to discriminate aircraft from ground clutter. This technological advancement provides more accurate information, with which air operations commanders can gain and maintain control of the air battle. In support of air-to-ground operations, the Sentry can provide direct information needed for interdiction, reconnaissance, airlift and close-air support for friendly ground forces. 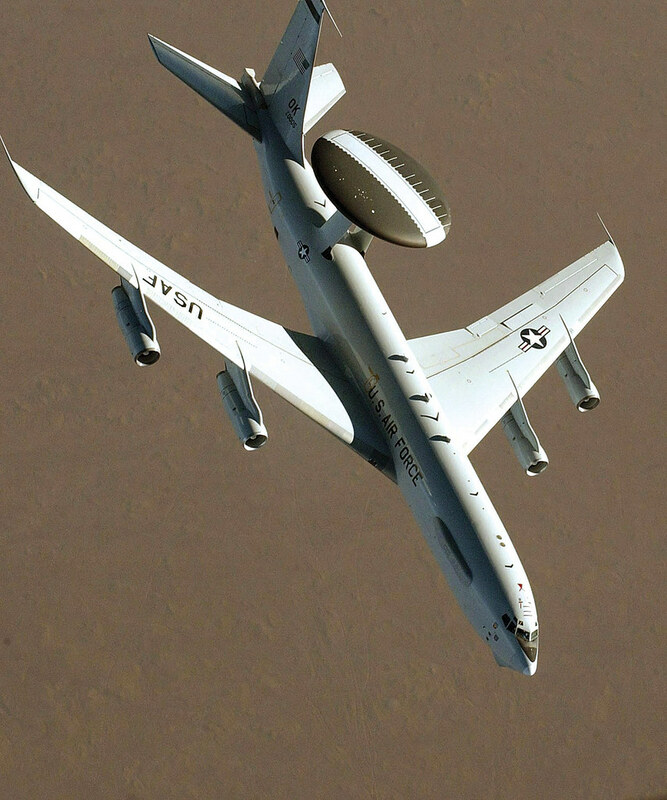 In the 1960s, The U.S. Air Force sought proposals for a jet-powered replacement for its piston-engine EC-121 Warning Stars. The new aircraft would utilize new radar technology and computer aided data analysis. The radar was developed by Westinghouse Electric, who pioneered the design of High-power Radio Frequency phase shifters. The 18-bit computer and beyond the horizon pulse mode allowed the radar to detect ships at sea when the radar beam is directed below the horizon. Boeing decided to base their design on the existing 707 commercial jet airframe modified to mount the radar in a 30-foot wide, rotating dome on top of the aircraft and allow for in-flight refueling. Today the E-3 is undergoing modernization to keep it commanding the battlespace for years to come. A complete flight deck modernization program has been initiated to maintain compliance with worldwide airspace mandates. 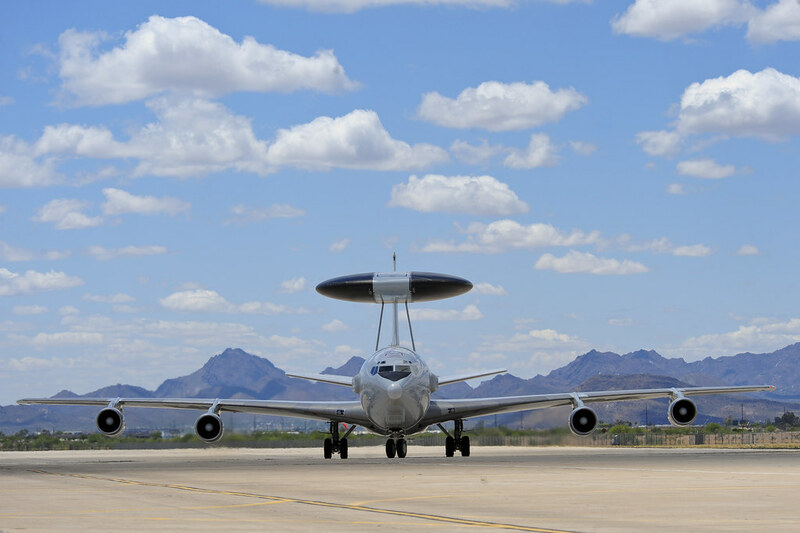 A Radar System Improvement Program has enhanced the radar’s electronic countermeasures and improved the system’s reliability and detection of low radar cross-section targets. 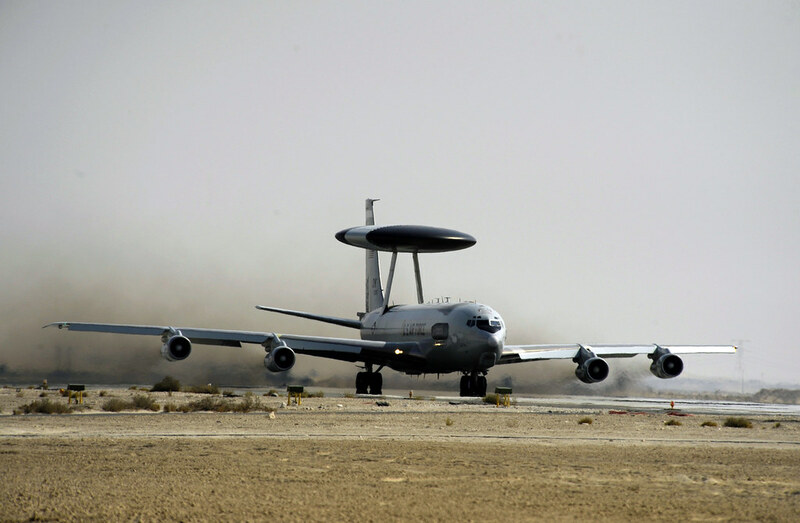 The USAF employs 31 operational E-3 Sentry aircraft. Twenty-seven fly within Air Combat Command and four in Pacific Air Forces. The E-3 has proven its worth allowing commanders a detailed real-time view of the battlespace during operations Desert Storm, Allied Force, Enduring Freedom, Iraqi Freedom and Odyssey Dawn/Unified Protector. The E-3 has also deployed to support humanitarian relief operations in the U.S. following Hurricanes Rita and Katrina, coordinating rescue efforts between military and civilian authorities. The E-3 can fly an eight-hour mission without refueling. Its on-station time can be increased through in-flight refueling, with only necessary limitations for crew rest. U.S. Air Force Airman 1st Class Favian Arteaga, 961st Airborne Air Control Squadron airborne surveillance technician (left), uses a communication system March 28, 2017, while flying in an E-3 Sentry over the Pacific Ocean. Airborne surveillance technicians make the initial identification of friend or foe aircraft and monitor their position. During Desert Storm, E-3 controllers assisted in 38 of the 41 air-to-air kills recorded by coalition aircraft during the conflict. 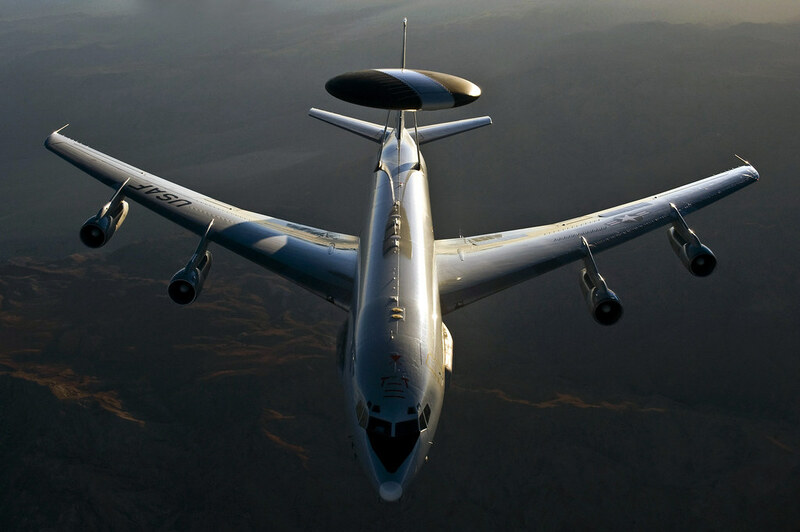  Archived in Airframes, E-3 Sentry (AWACS). Bookmark the permalink.